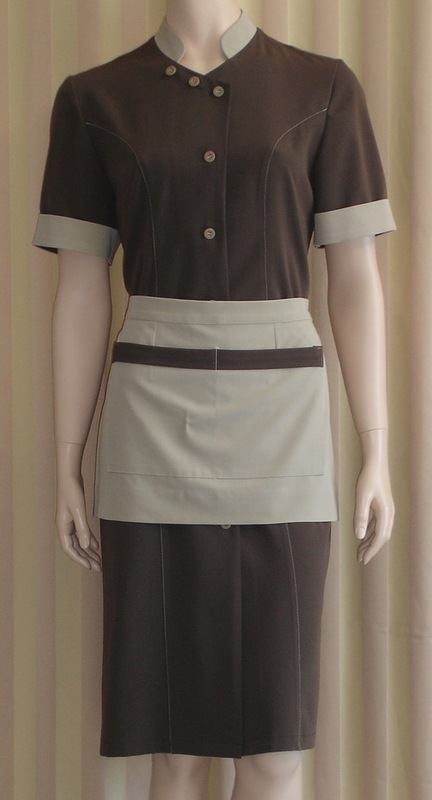 Work clothes complete the image of a hotel or restaurant. 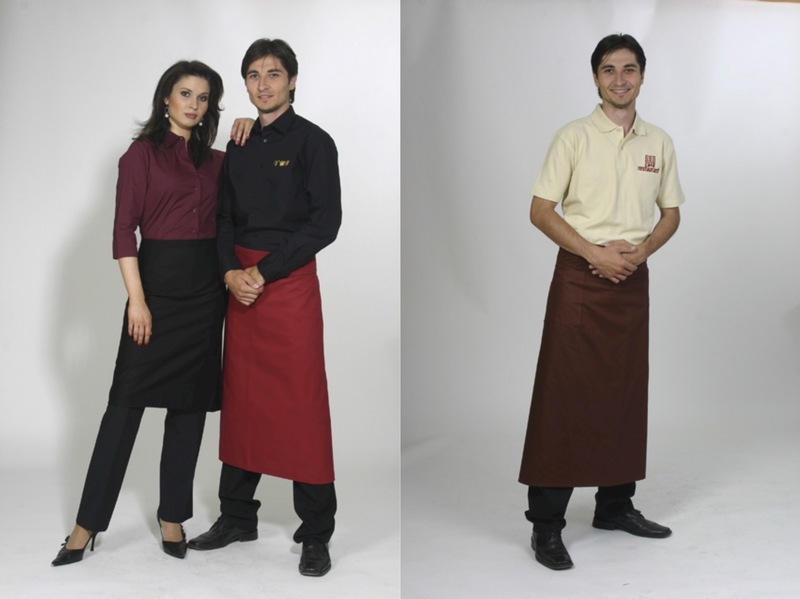 We provide clothes for the reception, maintenance, catering, chambermaid, cook, assisting personnel etc. Most of the products are made to order according to the needs and wishes of customer, part of the range as standard stock. There is also a possibility to mark the clothes with the customer´s logo. 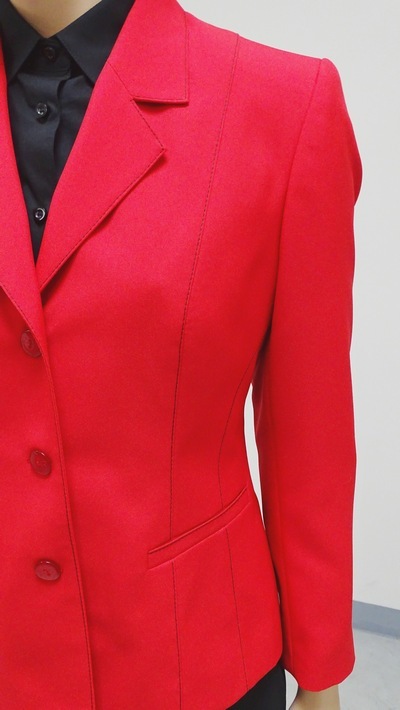 Men´s suits, dinner-jackets, ladies skirt or trouser suits made of modern, crease resistant materials. Blouses, shirts, accessories. Catering personnel clothes. Women´s and men´s trousers, vests, shirts, blouses, elegant custom-made aprons. Clothes for the reception and managment, cuts suitable for every body type. Various colours and accessories according to consultation with the customer. 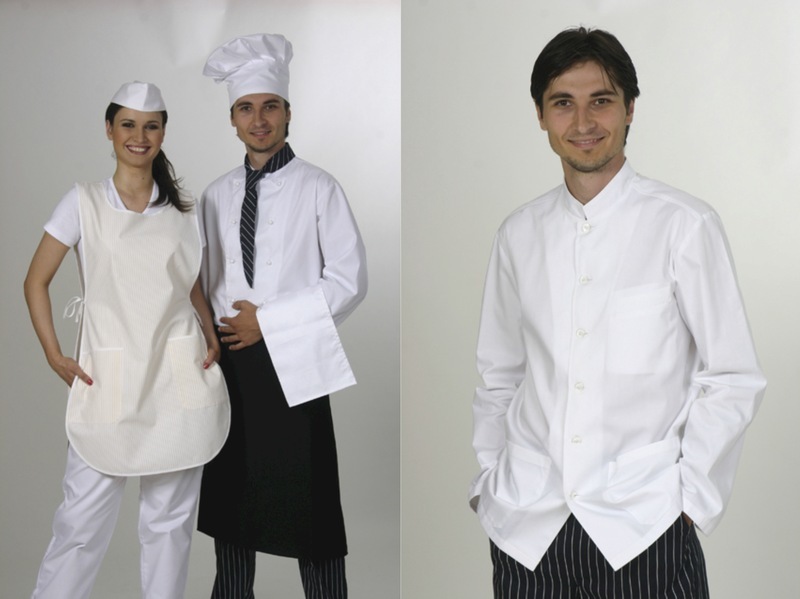 Clothes for waiters, suitable for restaurant staff and for hotel school students. Lined west with the possibility to apply the logo, classic cut skirt. 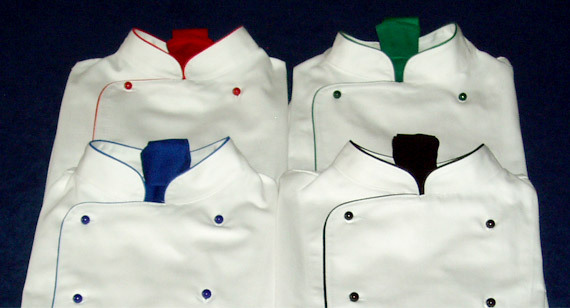 Modern shirts and polo shirts for the catering personnel in combination with the KELLNER aprons. Available in standard colours : white, black, red, green, blue, bordeaux. Festive cook coats. Various colour combinations according to customer´s wishes. Double-breasted cook coat STANDARD, trousers RUDO and simple tie RUDO. 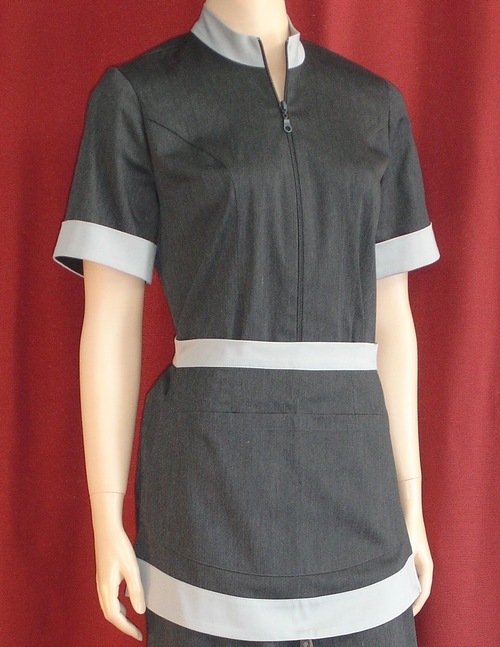 Ladies smock apron with white trousers and T-shirt. 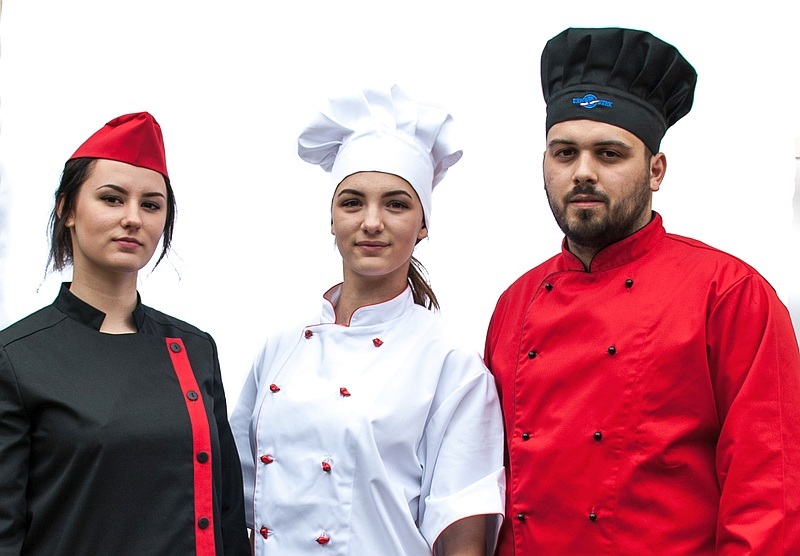 Cook coat with a piping of various colours (black, green, red, blue). 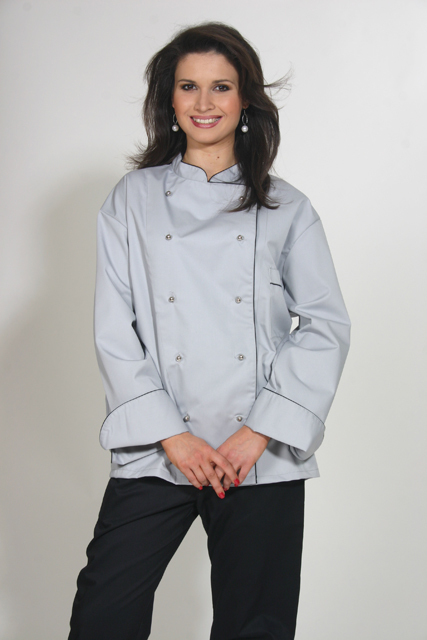 Single-breasted cook coat, suitable for the catering personnel and cooks working among the guests. Trousers with stripes RUDO. 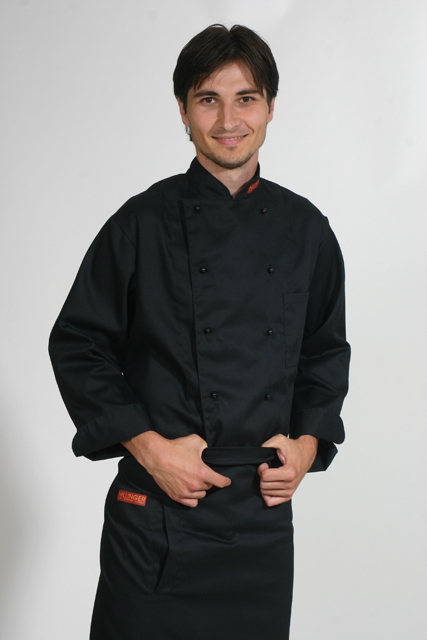 Exclusive black cook coat and a black apron, ideal for promotion with the logo. 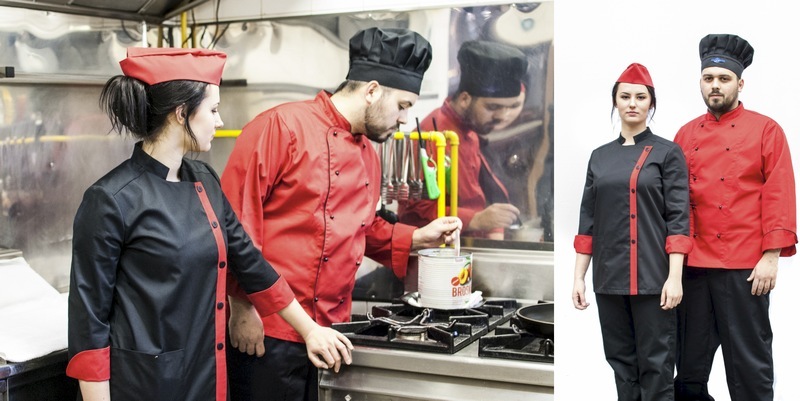 Double-breasted cook coat for cooks working among the guests, for men and women also, available with or without piping, in combination with the black cook trousers. Chambermaid clothes EVA with a collar and apron. We supply in different colours according to your selection. 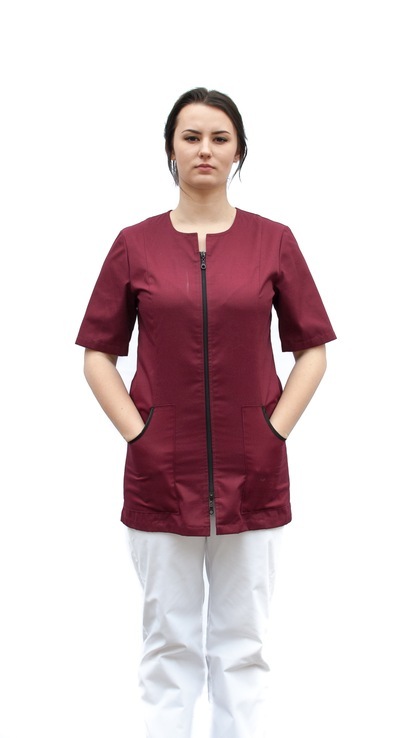 Blouse HOLY made of material cotton/polyester, zip fastening, available in various colours. Smock apron VILMA, chic and comfortable, to tie behind the back. We recommend combination with a uni-coloured T-shirt and white trousers. Blouse SIMI, button fastening, combination with white trousers. apron in the same colour combination. Blouse SIMI and ¾ trousers, zip fastening. All models have a pleat on the back for comfort, they are made of flexible materials. 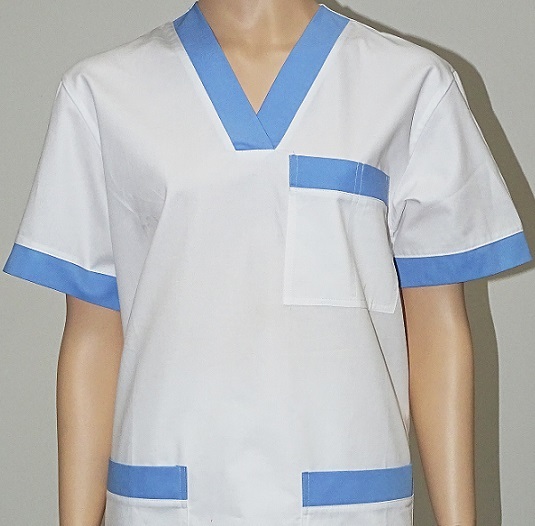 Blouse for wellness and medical personnel, combination with white trousers. 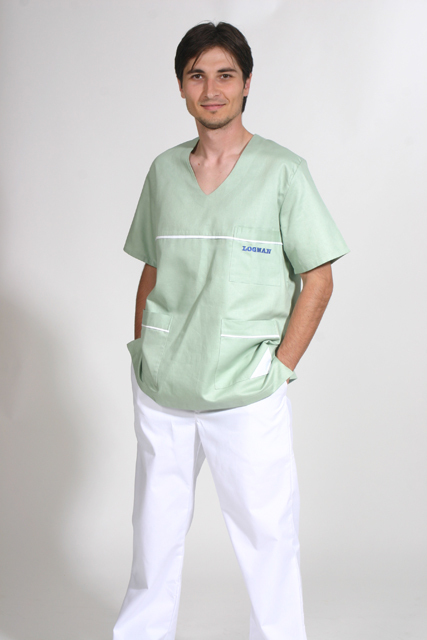 We offer a wide range of medical and surgery clothes, trousers, blouses, shirts, smocks or coats.